Delta Aesthetics Providers Andrew Ness, M.D. 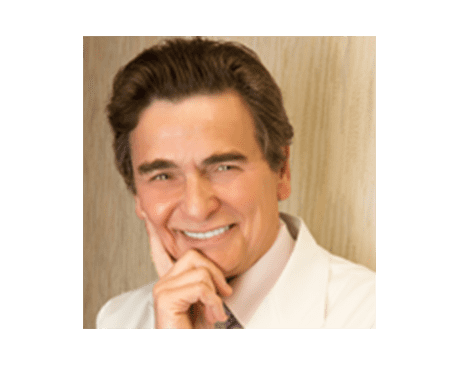 A practicing physician for over 45 years, Andrew Ness, MD, has the expertise patients need to achieve exceptional results. Dr. Ness is Board Certified in Family Practice, Sports Medicine, and Venous and Lymphatic Medicine. His extensive medical background allows him to provide Delta Aesthetics patients in Antioch, California, with comprehensive cosmetic care. Dr. Ness received his medical degree from the University of New South Wales. Today, he's affiliated with several hospitals in the San Francisco Bay Area, including John Muir Health-Concord Medical Center and John Muir Health-Walnut Creek Medical Center. He's also an associate member of the American Academy of Cosmetic Physicians and has worked as an Olympic team physician. Dr. Ness knows that patients considering cosmetic treatments want natural-looking results. As a gifted surgeon with experience in many medical specialties, he takes a holistic approach to treatment. At all times, Dr. Ness seeks to balance his patient's features and enhance their natural beauty. In his practice, Dr. Ness combines the care of a family medicine physician with the skill of a cosmetic surgeon. Throughout their treatment, he provides each of his patients with one-on-one, individualized attention. Dr. Ness builds long-term relationships with patients and takes pride in treating his patients like family. At Delta Aesthetics, Dr. Ness enjoys using his expertise to serve a diverse group of patients. He believes that cosmetic treatments play a crucial role in boosting a patient's self-esteem and improving their quality of life. No matter what his patients' aesthetic goals, Dr. Ness works tirelessly to ensure that all patients receive the care they need to feel confident about their appearance.